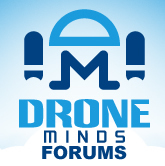 Discussion in 'General Drone Forums' started by BSHARK, Sep 18, 2018. ROAD TOWN, British Virgin Islands, Sept. 16, 2018 /PRNewswire/ -- BSHARK, an expert on hydrogen-powered drone research, has partnered with MicroMultiCopter (MMC)-a manufacturer of the first hydrogen-powered drone HyDrone 1550. BSHARK released a new hydrogen-powered drone Narwhal 2. MMC provided production service for BSHARK. The new drone is an upgraded hydrogen quad-copter with LTE module and 30 km video transmission range and is available on September 16. Based on aerial aluminum, the frame of Narwhal 2 is rain, dust and fireproof. As a drone fueled by hydrogen, Narwhal 2's core components must be absolutely reliable. A metal-based PEM fuel cell is deployed instead of the graphite plate, which greatly accelerates the power density. For storage, Narwhal 2 is equipped with a standard type 4 hydrogen cylinder made of carbon fiber and covered with aluminum alloy with at least 500 filling time lifespans. Moreover, the valve has a built-in temperature sensor. "After dealing with the data transmission issues, we found that our drone is truly useful for long-distance missions," the CEO of BSHARK Mr. Ling said. For this reason, Narwhal 2 has been developed with 30 km transmitters. Less than 0.25 seconds' latency LTE module is also equipped to extend the operation range of UAVs, thus, 3G/ 4G, WIFI and other link methods are all available to link the drones and control stations.